PowerShell can be leveraged when automating and streamlining SQL Server tasks. PowerShell comes with a rich set of cmdlets, and integrates tightly with the .NET framework. Its scripting capabilities are robust and flexible, allowing you to simplify automation and integration across different Microsoft applications and components. 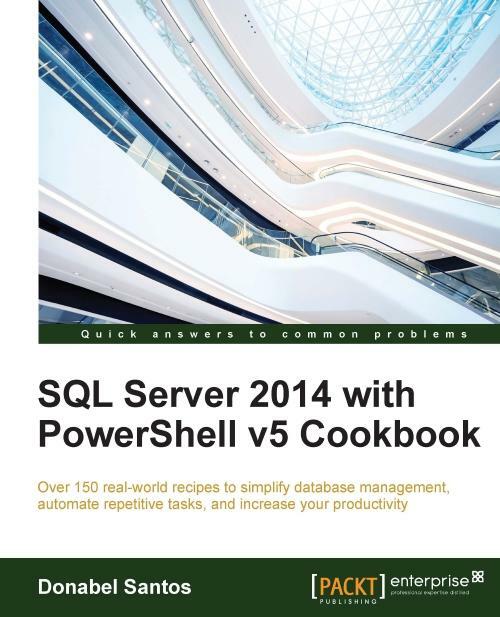 The book starts with an introduction to the new features in SQL Server 2014 and PowerShell v5 and the installation of SQL Server. You will learn about basic SQL Server administration tasks and then get to know about some security-related topics such as the authentication mode and assigning permissions. Moving on, you will explore different methods to back up and restore your databases and perform advanced administration tasks such as working with Policies, Filetables, and SQL audits. The next part of the book covers more advanced HADR tasks such as log shipping and data mirroring, and then shows you how to develop your server to work with BLOB, XML, and JSON. Following on from that, you will learn about SQL Server's BI stack, which includes SSRS reports, the SSIS package, and the SSAS cmdlet and database. Snippets not specific to SQL Server will help you perform tasks quickly on SQL servers. 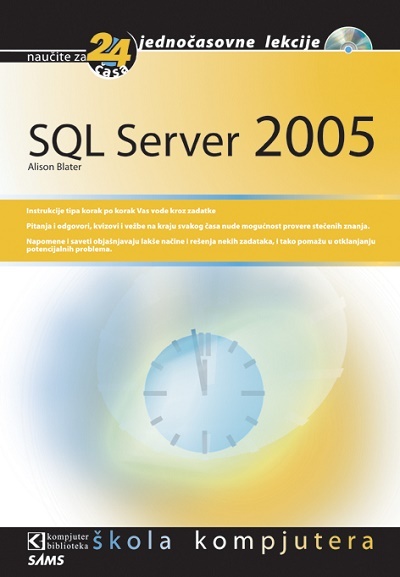 Towards the end of the book, you will find some useful information, which includes a PowerShell tutorial for novice users, some commonly-used PowerShell and SQL Server syntax, and a few online resources. Finally, you will create your own SQL Server Sandbox VMs. All these concepts will help you to efficiently manage your administration tasks. Donabel Santos (SQL Server MVP) is a business intelligence architect, trainer/instructor, consultant, author, and principal at QueryWorks Solutions (http://www.queryworks.ca/), based in Vancouver, Canada. She works primarily with SQL Server for database/data warehouse, reporting, and ETL solutions. She scripts and automates tasks with T-SQL and PowerShell and creates corporate dashboards and visualizations with Tableau and Power BI. She is a Microsoft Certified Trainer (MCT) and an accredited Tableau trainer. She provides consulting and corporate training to clients and also conducts some of Tableau's fundamental and advanced classes in Canada. She is the lead instructor for SQL Server and Tableau (Visual Analytics) courses at British Columbia Institute of Technology (BCIT) Part-time Studies (PTS). She is a self-professed data geek. Her idea of fun is working with data, SQL Server, PowerShell, and Tableau. She authored two books from Packt Publishing: SQL Server 2012 with PowerShell v3 Cookbook, and PowerShell and SQL Server Essentials. She has also contributed to PowerShell Deep Dives, Manning Publications. She blogs at http://sqlbelle.com/ and tweets at @sqlbelle.